April 18, 2018 – “The whole idea of the patent is that it is very unique. It is the only patent in the world that we can find that talks about the spraying of CO2 infused water onto plants. The test results that we are getting now prove it out.” states John Archibald, CEO and Director of CO2GRO Inc. (TSXV: GROW), in an interview with InvestorIntel’s Andy Gaudry. Andy Gaudry: There has been a lot of exciting things happening for you recently. You guys were recently named a top 50 company by the TSXV. How has that added exposure helped the company? John Archibald: It has helped us. It, sort of, underscores our strategies and growth models as seen by the shareholders and investors. Andy Gaudry: That is fantastic. I know last time when you were in Mr. Kanes mentioned you guys were on target for revenue by Q3 of this year. Are you guys still on target for that? John Archibald: We certainly are. We are definitely on for Q3. We are actually hoping to sneak a little bit into Q2. We are advancing that rapidly with our growth trials. Andy Gaudry: Onto your growth trials in your recent corporate announcement, how are the growth trials coming? 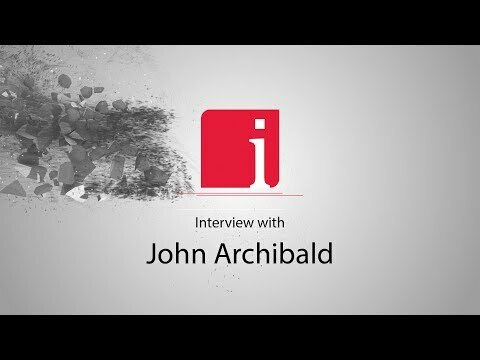 John Archibald: They are going very well. We have got 4 legal ACMPR cannabis growth trials. We have got some microgreens growth trials and we are having those backed up by a research at a major U.S. AG university. They are going very well. We are seeing excellent results. Andy Gaudry: Can you touch a little bit more about the results that you are dealing with? John Archibald: We are visually seeing very good results within the cannabis, but we have yet to do an analysis. We will not have those results for about another 6 to 8 weeks. Andy Gaudry: In addition to your cannabis growth trials, can you tell us a bit more about your microgreen trials? John Archibald: Yes. We are doing microgreen trials as well. Those are a little shorter that then cannabis trials. Typically microgreens grow from about 10 days to about 30 days. We are doing various trials there. Looking at starting with no nutrients, no additional nutrients and then balancing nutrients with the addition of the CO2 foliar spray. We have already got very good measureable results and we are expecting to improve those. Andy Gaudry: Can you touch on about your urban agriculture initiatives? John Archibald: Yes. Urban agriculture, sort of, ties in with our microgreens. They are grown within a 40-foot container. They are hyper grown. It is a controlled atmosphere and they are stacked in the container. They get 5 to 10 times the amount of growth that you normally would get in an outdoor situation. It is becoming increasingly popular. There is a variety of companies out there that have gotten into this space both in North America and Europe and it is a huge opportunity for us because we give them that additional grow with the CO2 foliar spray. Andy Gaudry: Can you please expand on your CO2 foliar spray patent? Disclaimer: CO2GRO Inc. is an advertorial member of InvestorIntel Corp.
Something is unique or it is not. Nothing can be very unique. Very interesting interview and company. Enjoyed learning about this and excited to the impact as they move forward.